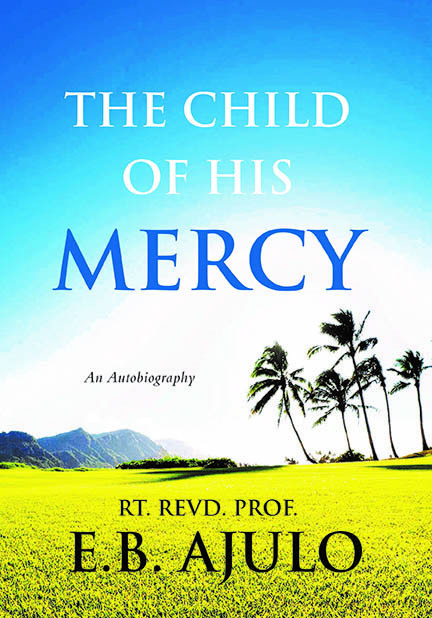 This 20 chapter volume tells the story of Right Reverend Professor Emmanuel Bayade Ajulo in a fitful, episodic style from 1947 through major and critical points in his life. Through testy waters of secondary education at Igarra Grammar School, with an “eclipse” a few months to graduation, God preserved him. In the centre of great difficulties, little did Emmanuel expect God’s turning point that came to him with the baptism of the Holy Spirit in 1969. This book covers the years of childhood and difficulties; his marriage to Apeke Victoria on 13th December 1975; life together as Graduate Assistants at University of Ife; having their first child in 1977; their sojourn in Sheffield during Bayode’s doctoral study; sharing and worship life in Christ’s Church, Fulwood, Sheffield; their “second coming” to Ife with their second child; the experience of intrigues and connivance in universities and the Church, and much more. With five children and many grandchildren, Bishop Ajulo retired from service in 2017 with rejoicing. Emmanuel Ajulo was born on 26th September 1947 to Mr Daniel Ajulo, (an “Andrian”—alumnus of St. Andrew’s College, Oyo) a catechist-teacher and Mrs Comfort Ajulo. Emmanuel’s had his Primary education in CMS Lampese from 1953 to 1959 and his secondary education was at Afemai Anglican Grammar School, Igarra, from 1962 to 1966. He studied English and obtained a BA (single honours) at University of Ife in 1973; MA (English Studies) at the same University in 1978 followed by doctoral study in English Language at University of Sheffield, England, from 1977 to 1980. He has lectured at the University of Ife, the Ambrose Alli University, Ekpoma, the Ahmadu Bello University, Zaria, and at the University of Jos where he became a professor of English Language in 1995. Professor Ajulo joined the Full Gospel Business Men’s Fellowship International, Jos, and was a chapter president before joining the Holy Orders in the Anglican Diocese of Jos in 1992 and eventually becoming a Bishop. H voluntarily retired from the University in 2008. Married to Apeke Victoria, a retired University Senior Librarian, and blessed with children, Bishop Ajulo retired from Church service on 26th September, 2017 on turning 70.